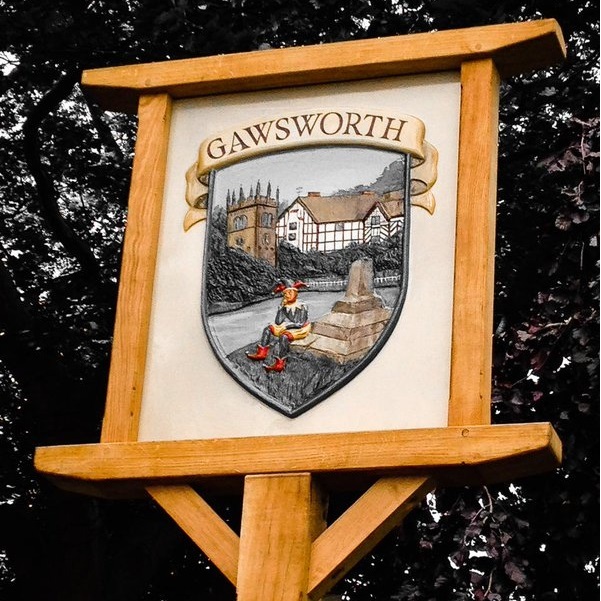 Gawsworth is a rural parish near Macclesfield. The Parish Council was looking for a crest to be created as part of improving awareness of the council in the parish. I worked with the Parish Council to pick the key landmarks; Gawsworth Old Hall, the Church of St James and the medieaval stone cross. 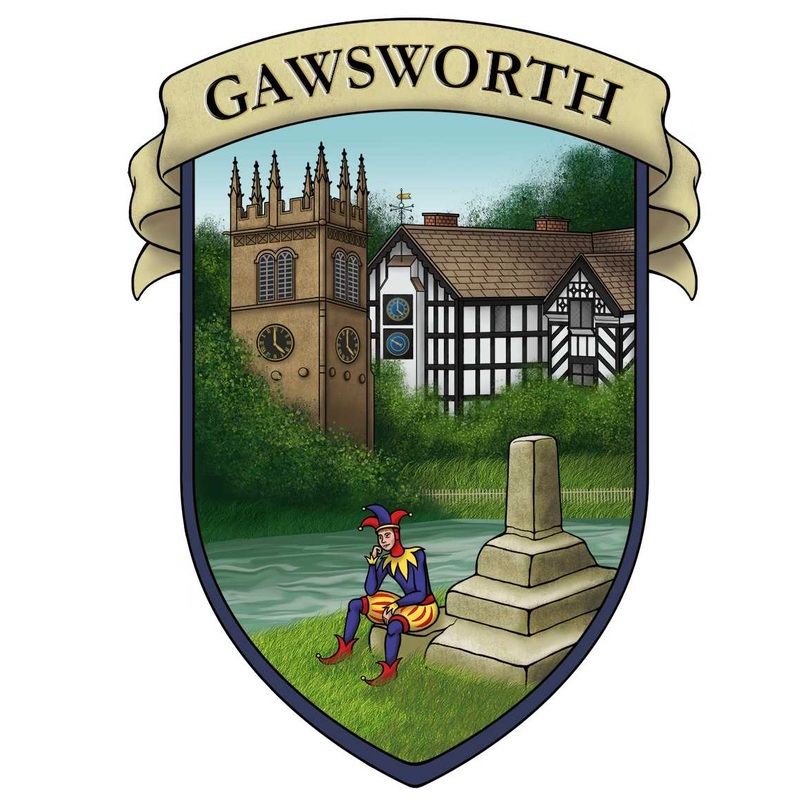 Gawsworth is also the resting place of the last professional jester, Maggoty Johnson so he had to be included too! Shortly after the logo was created the Parish Council commissioned it to be made into a sign which stands in the centre of the village.